Keepin’ It Grimey in The Lab LDN - Pop It Records - NEW MUSIC EVERYDAY! The Lab LDN is Mixmag and Coors Light's weekly live stream, powered by Void Acoustics, where we showcase the finest DJs direct from our world famous fice party. 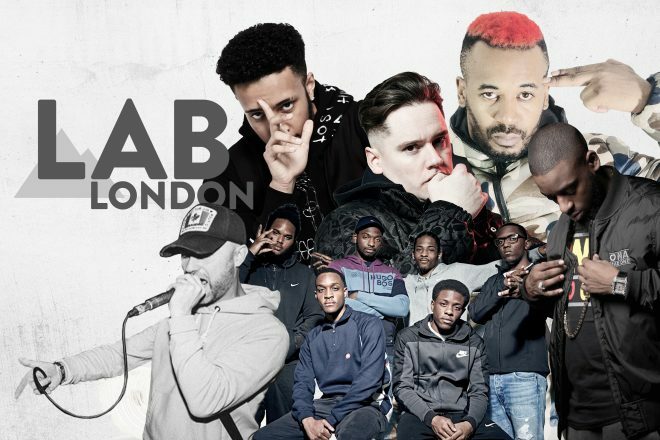 Next Thursday we’re buzzing to be heading to Boxpark Shoreditch for a special showcase featuring some the most essential acts in grime: Yizzy, Vision Crew, Saf One, Logan Sama, Discarda & Nasty Jack. Aged just 18, South London MC Yizzy has mastered a style grime that belies his young age. The incendiary bars and raucous riddims releases such as the ‘S.O.S.’ carry all the game-changing energy the days grime’s inception. Also hailing from Lewisham, Vision Crew are pushing a fresh spin on the genre, coloured with evocative lyricism and threading influence from styles such as bashment and drill into impactful hybrids. Dancefloor damage is assured when Discarda takes control the mic. The East London MC’s ‘Big Loose Cannon’ is a reload anthem that never fails to have furious gun fingers flying. Across the city, West Londoner Nasty Crew member Nasty Jack has been killing it for over a decade with infections grime heaters. Representing Birmingham, Saf One recently made grime history streaming a headline show as PPV, a first for the genre. Keepin’ It Grimy boss Logan Sama will be on the decks, laying down a soundtrack primed to keep the party popping. The event runs from 7pm to 11pm on Thursday, August 23. Email email protected] for guestlist.